We have begun a new series of the “Friday Night Gathering” Bible studies! 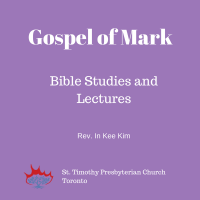 We are doing an intensive study of the Gospel of Mark. The first session explored Chapters 1 – 3:6. Please listen and be enriched through this study!